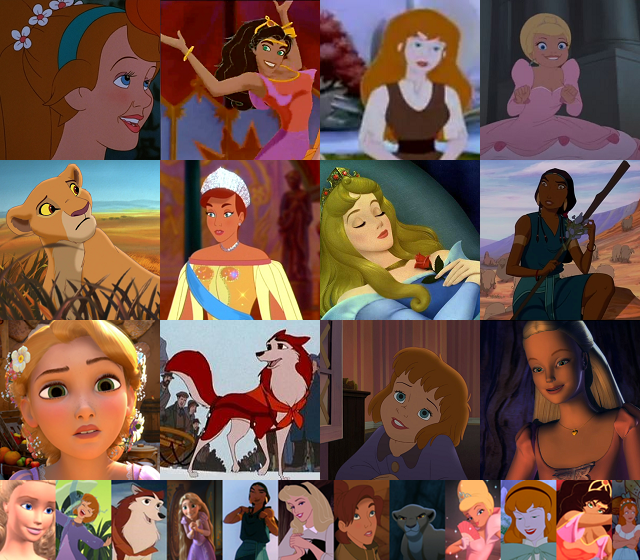 Animated Heroines. Animated Heroines mash up - Thumbelina, Esmeralda, Daria, Lottie, Kiara, Anastasia, Aurora, Tzipporah, Rapunzel, Jenna, Jane and Clara. 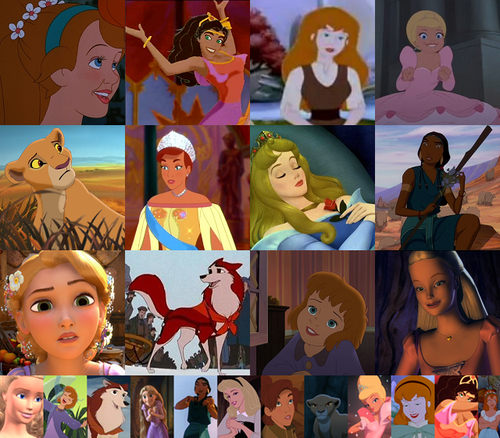 Wallpaper and background images in the Childhood Animated Movie Heroines club.